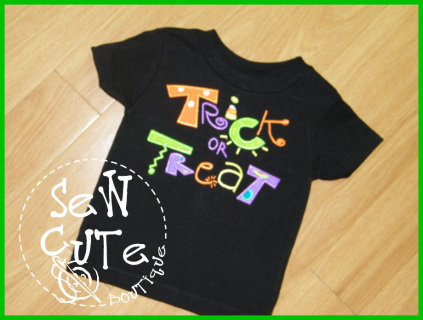 Too cute to spook! Handpainted spiderweb on black long sleeve shirt with name appliqued in fun bright Halloween-ish fabrics over the top. 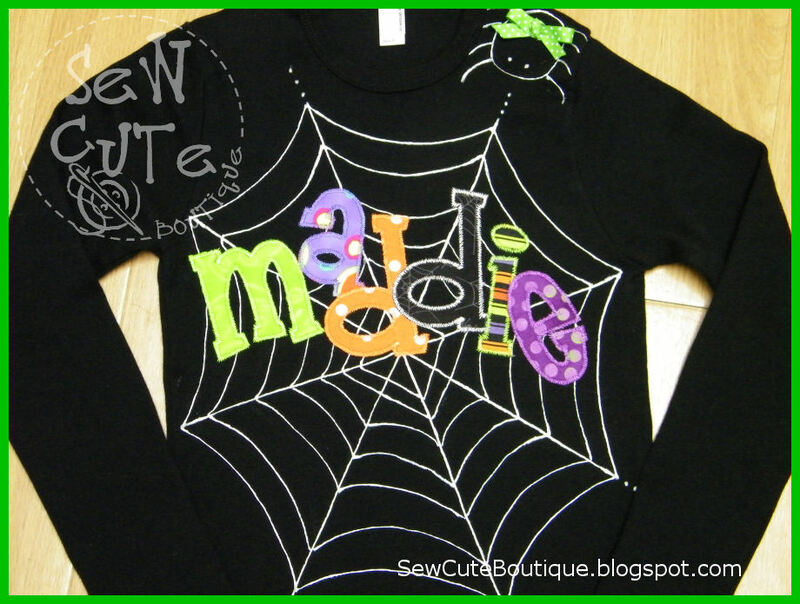 A cute handpainted spider wearing a real bow sits on the shoulder. 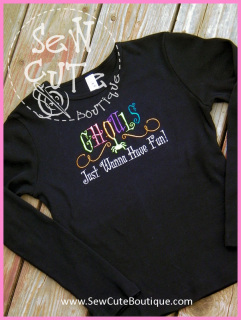 Price shown is for long sleeves. No need to purchase the upgrade. 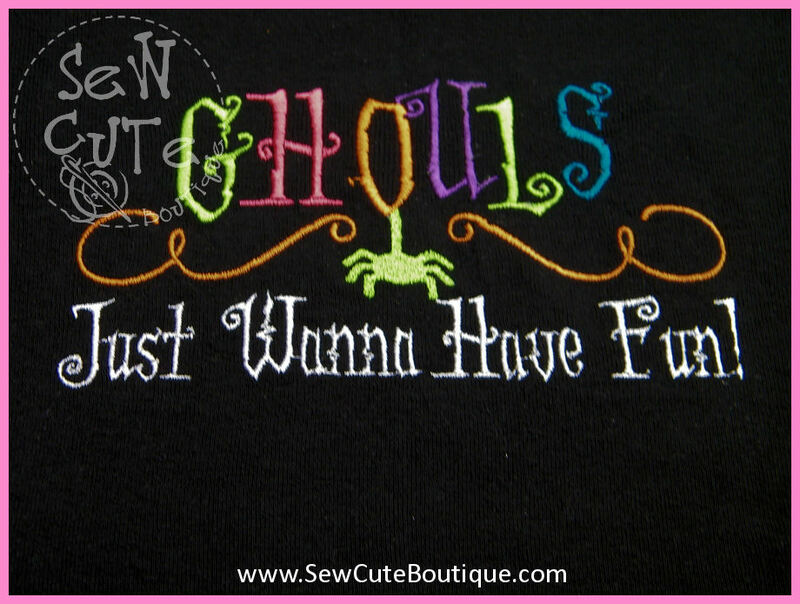 However, if you desire short sleeves, please let me know. Please note that long names will require smaller letters or perhaps even a different font. These jeans coordinate with the spiderweb t-shirt sold above. They feature a cute polka dot spider applique on one leg, little square patches on the other leg and pockets on the back, all in matching fabrics to the above t-shirt. These jeans also feature my favorite cuffs. 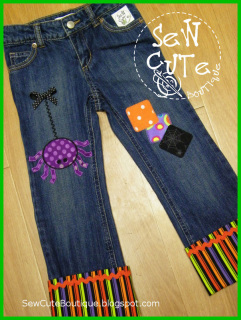 These cuffs can be let down as your daughter grows so that the jeans are always a perfect length. I prefer to use Old Navy brand adjustable waist jeans whenever possible. I also may upcycle very slightly pre-worn Old Navy adjustable waist jeans or possibly even another well-known brand jean from time to time if available. Too cute! 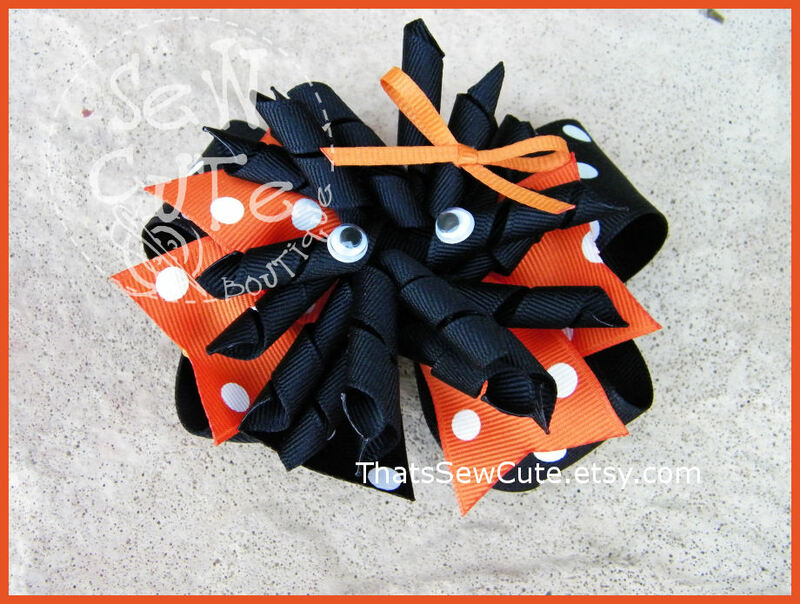 This adorable, googly-eyed spider wearing her own hairbow is layered on top a layer of orange polka dot ribbon spikes which is layered on top of a black polka dot boutique style bow. These come mounted to your choice of alligator clip, French barette or pony tail band. Please specify your choice. If you are interested in different colors, please contact me! 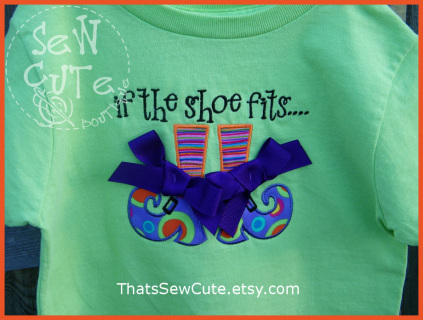 Adorable witchy shoes, striped stockings and a real bow sewn on a funky lime green tee. Available in infant through youth sizes. Interested in different colors? Just contact me! This price is for SHORT SLEEVES. 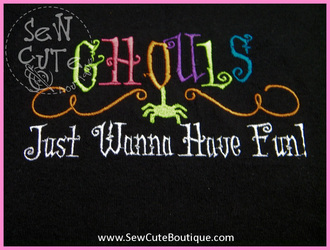 If you desire long sleeves, please purchase the "Long Sleeves Upgrade." 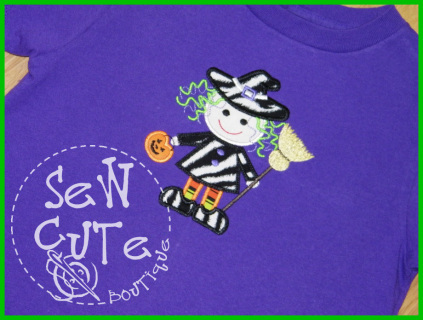 This cutie witch design is featured on a purple short sleeve t-shirt.